Take one listen to Jamaican singer/songwriter Lymie Murray and you’ll be hooked. His is a captivating melodious, rich soulful sound, warm and welcoming to the eardrums. 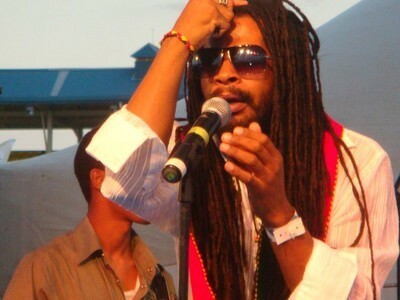 Indeed Murray’s captivating vocals underlines many reggae hits, including Etana’s “Wrong Address”, Jah Cure’s “Sticky” (Out Deh) and Wasp’s popular track “Cry Fi Dem”. Many Jamaican artistes, including Beres Hammond, rave about this gem of a singerand agree that LYMIE MURRAY is one of the most gifted vocalists of the modern reggae era. 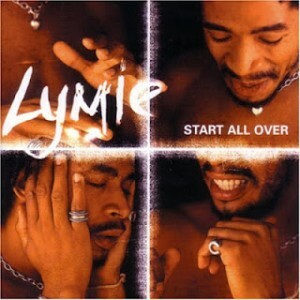 Indeed, Tarrus Riley was once asked ‘which Jamaican vocalist you rate’ and he turned and pointed at LYMIE! Luciano calls LYMIE MURRAY an ‘ark angel’. Thrusting his melodic sound centre stage, Murray pulls audiences in and takes them with him as he escapes in his ‘comfort zone’ of awe-inspiring roots reggae. Lymie Murray’s strength is his versatility; his exceptional creative range and talent. 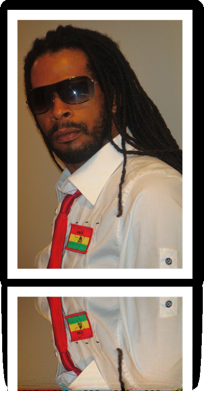 Rarely has a reggae singer captured so effortlessly both classical lover’s rock sensibility and reggae righteousness. 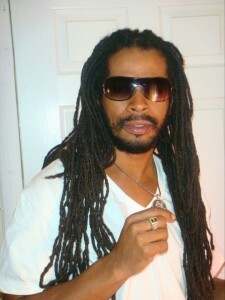 Check out any of his popular singles – “Rolling Thunder”, “Blessed” “Only Conversation” and “Break Free” – and you’ll discover a unique mix of artistic virtuosity, power, style and class unmatched within the contemporary genre of reggae singers. After years of touring extensively across the globe as the enchanting front man for the once popular Skool Band, Lymie Murray began making his mark with his debut album “Happy Days”, featuring hits such as “Everytime I Touch You”, “Blessed” and “Let’s Stay Together”. Lymie Murray and “Happy Days” attracted the attention of Freddie McGregor and Big Ship Records. Murray formed aworking relationship with McGregor which saw him performing as opening act/backing vocalist for the reggae great. This relationship with Big Ship saw Murray’s second and third albums “Start All Over” and “Only Conversation” released on Jet Star and VP Records respectively.“Start All Over” features songs such as the title track ‘Start All Over’, ‘All Night Long’ and ‘If I Could’. Meanwhile, “Only Conversation” comprises the popular title track, ‘Jah Fire’, ‘Love Overdue’ and ‘La La Means (I Love You)’. With signature silky honey glazed vocals, this handsome singer very quickly became known as a crooner of deeply romantic lover’s ballads. Embarking as a solo artist since 2003, Murray dropped a beautiful collection of popular singles such as ‘Pool of Love’, ‘Slow and Easy’, and ‘Stop for While’ which speak honestly and openly about relationships and love, lyrics with meaning and purpose that could melt the most cynical of lovers. He also released roots reggae hits including ‘Break Free’, ‘Rolling Thunder’, ‘Real High Grade’ and ‘Blood Iya’ for producer Bobby Digital. But Lymie Murray is not to be typecast. Today, his music ranges from reggae’s lover’s rock genre embedded in his first three albums, including the popular “Only Conversation” to classic odes to reggae’s conscious roots manifested in his latest album, “Deeper Roots”. 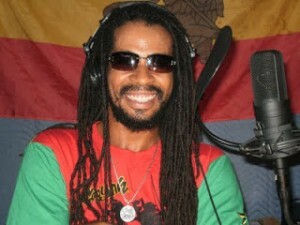 Songs such as “Earth Cry”, “Troubles I See”, “Brother’s Keeper” and “Marcus” reflect Lymie Murray’s deep commitment to his Rastafarian faith and his growth as an artiste. Moving his music along a continuum of positive uplifting themes of love and life to profoundly spiritual laments about poverty and injustice, Murray’s melodies are potent and memorable. Unlike many of his young contemporaries in roots reggae culture who spew out a firebrand politics, Lymie Murray is not fuelled my radical resentment and rage. “I have never made a song I am not proud of”, says Murray. But make no mistake Lymie Murray’s music is no less political. The singer’s latest album, aptly entitled “Deeper Roots” carries with it a commanding, authoritative energy. The rhythms on this album are pedestrian and vibrant; the lyrics forceful and consequential. Yet the vocals are unhurried; they are measured; their tone tempered by the lyrical intelligence of this poised and endearing artiste. Tracks such as “Rooster”, “Captive” and “Suzie’s Birthday Party” are worth the wait. Deeper Roots is to be released soon. During his adolescent years, Murray participated in concerts at school, church and at private parties, fuelling his passion for music and performing. But although the singer’s superb vocal abilities were apparent to many who knew him, Murray went on to pursue a 9-5 job in Kingston after graduating from DeCarteret College. Murray however could no longer ignore his burning desire to sing. Leaving the conformist lifestyle of the corporate world behind, Murray teamed with producer, Desmond ‘Shangul’ Lawson to release his first single “Raindrops keep falling on my Head” in 1993, setting in aggressive motion his musical career. Touring across the United States, Europe, South America and Asia with the Skool Band led then by former Chalice member, Desi Jones, Lymie Murray crossed paths with reggae great Freddie McGregor and soon produced the single “Jah I want to be with you Now” for McGregor’s Big Ship label and released on the Midem 1998 compilation. By this time Lymie Murray’s extraordinary singing talent was apparent and undeniable. 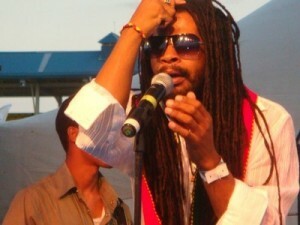 Murray’s debut album “Happy Days” helped the gifted singer/songwriter to carve his own name and niche into the reggae scene. Lyrically, the collection is an exhilarating joyful ensemble reflecting Murray’s optimism about his future and his life. There are however some surprises as the singer’s euphoria is punctuated by the reality and fragility of love and life. While the musical composition of the single ‘Love We Had’ provides an upbeat canvas, the lyrics paint a darker picture as Murray expresses the regret felt over a broken love affair. Happy Days is a rich album due largely to Murray’s velvet voice and his ability to remain true to his reggae roots. Since “Happy Days” Murray has been prolific, blowing out the boundaries he previously set. A collaboration with Barry Clarke (BRC International), Dalton Browne (Busy Bee Records, UK-based Stingray Records and the Big Ship label resulted in Murray’s second album, “Start All Over”, released by Jet Star UK in 2001. Meanwhile Murray continued to expose his gift to the world, giving outstanding performances on the UB 40’s 21st Anniversary concert and the London Philharmonic series headlined by John Holt and Ken Boothe. Murray also updated his sound. His third album “Only Conversations” released in 2002 on the Big Ship/VP Records label is dazzling. Murray’s vocals are mellow and mature and the lyrics more meaningful. This album took Murray on a promotional tour of Japan, USA and the Caribbean. Lymie Murray continues to mesmerize audiences everywhere. 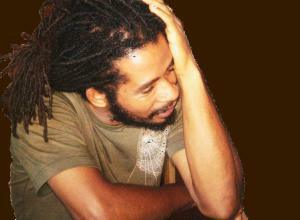 In 2010, he impressed at the Jamaica Jazz and Blues Festival and at Christopher’s Jazz café. In 2008, he was a shining star at the Uppsala Reggae Festival in Sweden, and at home, impressed at local shows – ‘Rebel Salute’, ‘A St. Mary Me Come From’, ‘Summer Hype’, ‘International Reggae Day’ and ‘Western Consciousness’.